Relationships of any kind are inherently layered, complex, and dynamic. While building brand loyalty and commitment depends on strengthening emotional bonds and actively engaging customers, consumer-brand relationships can fail for many different reasons: on one hand, customer turnover could be involuntary, e.g., due to a change in needs or the onset of naturally occurring life events, and on the other, consumers willingly terminate relationships with brands when they no longer like the brand. Unfortunately, there is insufficient knowledge about the emotional deterioration of brands in a multi-touch and multichannel marketplace. In this research, we examine the emotional language used in failed customer relationships, i.e., an existing or ongoing consumer-brand relationship where emotional valence shifts from positive to negative. A shift in the emotional valence of consumer-brand relationships is proposed to be different from the emotional responses experienced in discrete marketing transactions. 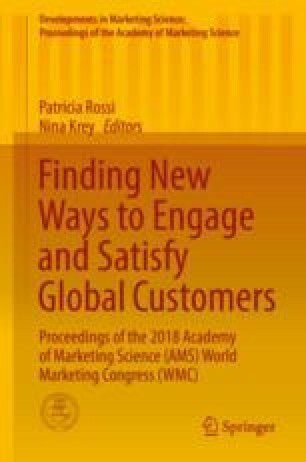 This issue is explored using a qualitative research design to identify basic emotions expressed when consumer-brand relationships have spiraled downward. A review of the marketing and psychology literature suggests fruitful theories for studying what happens when relationships begin to fade emotionally. First, research on affect in personal relationships indicates a decrease in personal affection such as reduced attraction, liking or commitment signals a shift in the emotional valence of a close relationship and offers a warning about the relationship’s future. Second, most service failure and recovery studies covered transactional events that lacked the temporal dimension needed to effectively study emotional states in failed consumer-brand relationships. Inherent to the trajectory of established relationships is the ebb-and-flow of a dynamic and naturally maturing process; therefore, the cumulative rather than transaction-level effects of emotions are critical to understanding authentic customer responses in failed consumer-brand relationships. Third, the service failure literature has identified emotional responses such as anger, discontent, disappointment, self-pity, anxiety, and rage to be primary affective consequences to encounter-level service or described the roles of regret and revenge as emotional influences in service failure and recovery. Findings from these studies have not clearly distinguished the role of self vs other emotions when relationships start to spiral downward. Results from this research reveal the language of failed customer relationships and suggest how emotional bonds might weaken those relationships.